These linear design Jacquards are exclusive to Lavender Blue here in the US. 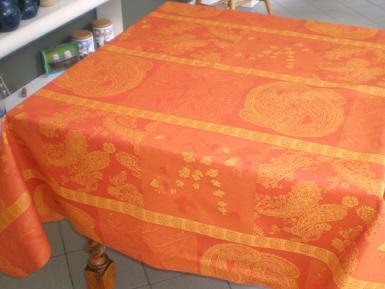 The cloth is Teflon and acrylic treated to give outstanding resistance to spills and mishaps of most types. So easily cleaned when needed with a damp soapy cloth. The material can be machined washed if needed. We recommend a low temperature wash with mild detergent, a quick spin dry or hang dry on a line. 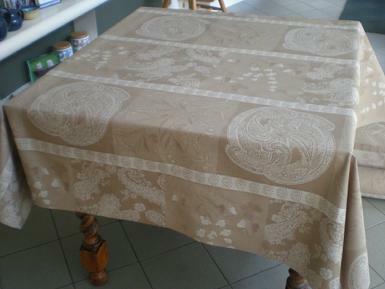 In practice though these table cloths can be used for several years without cleaning. A great advantage in today's busy lives.